Cranberries - good for you and for making silly faces! Cranberries are in season! These small, round, bright red berries are bursting with… sour. Yes, sour. Let’s have more fun with the taste description and call it “wrinkle-your-nose tartness”. Most commonly found in a sauce, dried, or as juice, cranberries’ sour taste is balanced with the sweetness of added sugar or other juices. But you need not add any sugar to enjoy these berries – or you can certainly add less. These sour berries – fresh or dried, pair well with savory flavors, like chicken or turkey. They will liven up wild rice or other grain pilafs and salads. Ease into the tartness by adding a few to your dishes. Then don’t worry about how many you add (unless you are on blood thinners since it can potentially increase the blood thinning effects) as there is only 25 calories in a ½ cup of fresh cranberries. 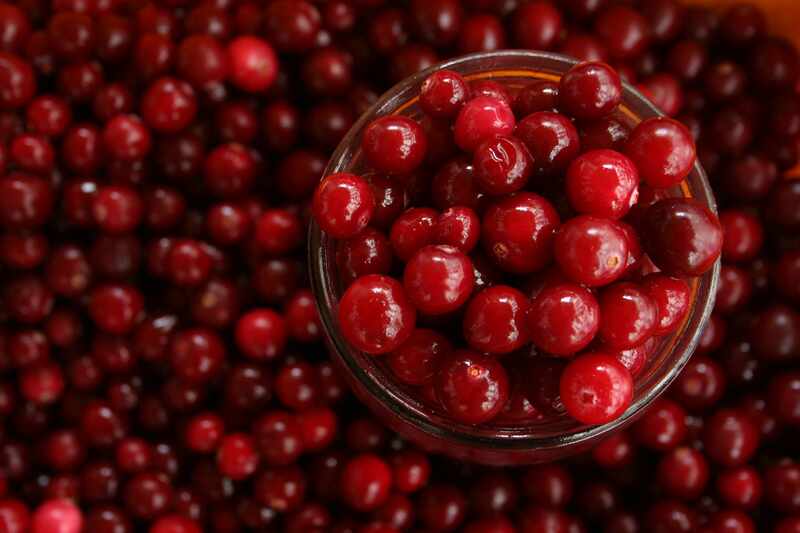 Cranberries, like many berries, are a good source of fiber and vitamin C, an anti-oxidant. Additionally, the phytonutrients in cranberries may be anti-inflammatory. All may prove beneficial for better circulation, a healthy heart, and in cancer prevention.